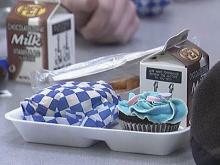 Vance County Schools has announced that beginning Jan. 21, the school district will begin to provide students with “minimum level” school lunches to conserve funds in the wake of the federal government shutdown. State nutrition officials say the directive to cut back on school lunches didn’t come from Raleigh. “We have not advised LEAs [Local Education Authorities] in North Carolina to take measures to reduce their spending at this time, however, we respect that local school officials and boards of education must take the actions they believe to be in the best interest of their students, families and communities,” Lynn Harvey, section chief of school nutrition services with the N.C. Department of Public Instruction, said in a statement. Vance County School administrators couldn’t be reached for comment on Wednesday. Starting the week of January 21, minimum level means: one main dish, bread, two vegetables, one fruit and milk. No fresh produce will be included, except at elementary schools as part of the Fresh Fruit & Vegetable Program. This program will be decreased to two days each week. No bottled drinks (water and juice) will be available after the current inventory in stock is used. No ice cream will be available. The memo was signed by Cynthia Long, a deputy administrator of Child Nutrition Programs with the U.S. Department of Agriculture. Long said the agency is aware of the concerns Food and Nutrition Services [FNS] customers have as a result of the government shutdown. “To address such concerns, and ensure that programs can continue to operate without fear of disruption, FNS has provided State Agencies with additional available appropriated funding,” Long wrote. Meanwhile, Harvey said North Carolina officials will continue to analyze data to determine possible options for LEAs if the government shutdown continues into February. “We are communicating with school nutrition directors and other state and federal agencies, and we will be prepared to make recommendations during the first week of February,” Harvey said.